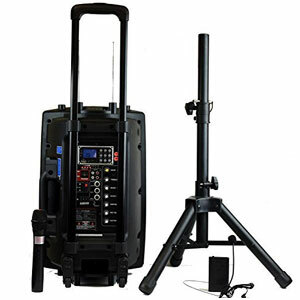 It is easy to see why this Hisonic HS122BT-HL Rechargeable PA System appeals to users that haven’t had much experience. There is an old-fashioned charm to this product. This doesn’t have the same bulk and professional look at a typical PA system or floor monitor. Instead, it looks more like a portable sound system for use at parties. The inclusion of the accessories definitely helps to cement that image. 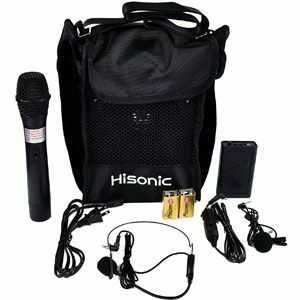 There are dual wireless microphones – perfect for karaoke – and the Bluetooth connection. This means great streaming of playlists at events from a tablet or mobile. 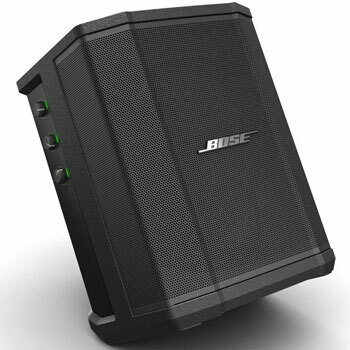 The unit itself as a nice design, with the 40w speaker encased in a portable system with a strong carry handle. All the necessary controls are on the top of the system and pretty easy to use. The connections and battery life are also better than many would expect. There are reports from public speakers using this is small rooms with no issues. The battery life can be as much as 12 hours in some cases and it is easy to swap out the batteries. 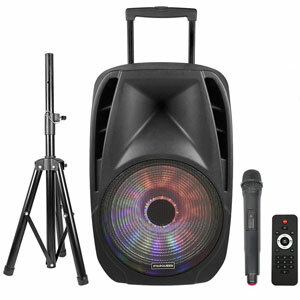 The problem is that this Hisonic HS122BT-HL really is just a basic PA speaker for parties. There are some less-impressed users that remind new buyers that you get what you pay for here. The range is fine up to a point. There is the risk of a static noise when there is dead air on the microphone. This is easy to overlook in private parties and low-key events, but less so in a professional situation. It also requires repeated syncing in order to get the Bluetooth to work each time. This can get a bit frustrating. The carry case is a nice idea, but doesn’t have the space or strength that is really needed for all these accessories. This is a shame because that headset is a little fragile and needs a little more protection. What does this mean for a final recommendation on this Hisonic Rechargeable PA System? There may be a lot of small downsides to this Hisonic PA system in regard to the power, build and accessories, but none are so bad that the product has no worth. 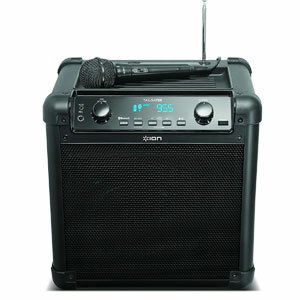 In fact, those that just want a basic karaoke system or an amplifier for an MP3 system can get a lot out of this product. The benefits like the design, battery life and ease of use all mean that this Hisonic PA sound system has potential with the right audience. 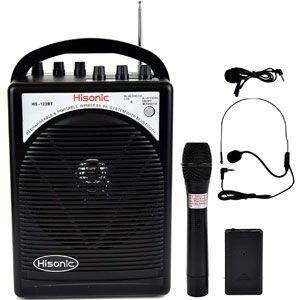 Find more reviews about the Hisonic HS122BT-HL Rechargeable PA System on Amazon here.